The spring portion of the college golf season — the key part of the schedule in so many respects — starts in the next several days, though it’s the dead of winter in Colorado. Both University of Denver teams will be in action before the month ends, and by this time in Feburary all nine NCAA Division I programs based in Colorado will have started their spring schedules. The DU women, recently picked to finish No. 1 in the Summit League by its coaches, will be the first local team to tee it up in competition as the Pioneers will face Arizona State and Georgia in a three-school match on Sunday (Jan. 27) in Gold Canyon, Ariz.
— Jennifer Kupcho of Westminster will be defending her NCAA Division I women’s individual title in May as a Wake Forest senior before she begins her LPGA Tour career. This week, Kupcho regained the No. 1 spot in the Women’s World Amateur Golf Ranking, a position she held for 15 weeks in 2018. — Former University of Colorado golfer Robyn Choi, who qualified for the U.S. Women’s Open in the Centennial State the past two years, likewise earned her LPGA Tour card in November through her performance in the Q-Series. But, unlike Kupcho, Choi elected to forego her remaining college eligibility to join the LPGA circuit as soon as possible. That will leave CU without its top player going into the spring. “That’s a tough one to lose, but it’s exciting she gets to start her LPGA career,” CU coach Anne Kelly said recently on CUBuffs.com regarding Choi. Junior Kirsty Hodgkins, like Choi an Australian, will likely take over the No. 1 position for the Buffs. — Dawn Shockley, who grew up in Estes Park and played her college golf at DU, seems to be making an impression as the women’s coach at Oregon State. At midseason, the Beavers are ranked No. 25 in the nation, according to Golfstat. 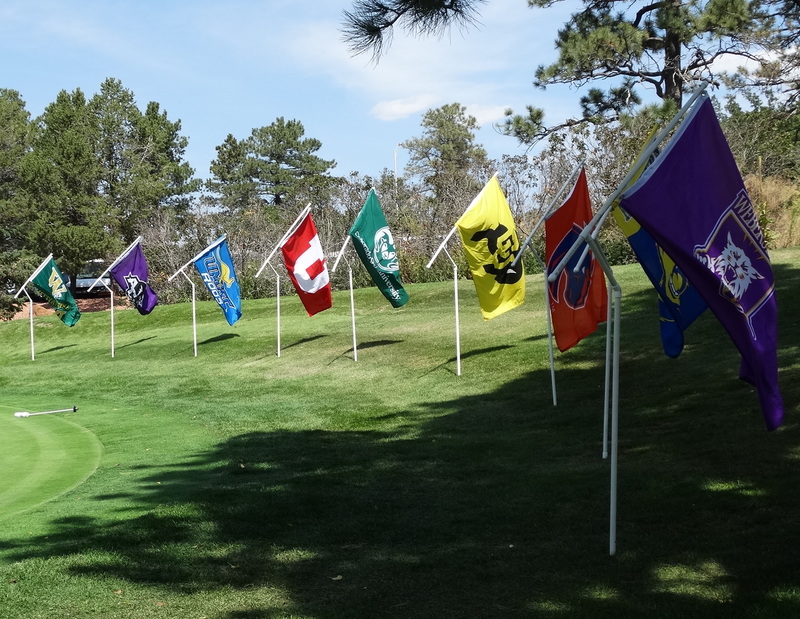 While there are plenty of college veterans that figure to shine for Colorado-based DI teams, several freshmen demonstrated great promise in their first semester as college golfers, in the fall. That includes Colorado State University players Oscar Teiffel and Davis Bryant, who had the Rams’ top two scoring averages in the autumn. Another promising freshman is former Coloradan Elizabeth Wang, who posted a 71.25 scoring average in her first semester at Harvard. — DU Women: Jan. 27 dual match vs. Arizona State in Tempe, Ariz.
— DU Men: Jan. 28-29 at Arizona Intercollegiate in Tucson, Ariz.
— CU Women: Feb. 3-5 at Northrop Grumman Invitational in Palos Verdes, Calif.
— CU Men: Feb. 7-9 at Amer Ari Intercollegiate in Waikoloa, Hawaii. — UNC Men: Feb. 11-12 at Pat Hicks Thunderbird Invitational in St. George, Utah. — CSU Women: Feb. 18-19 at The Rebel Beach in Las Vegas, Nev.
— CSU Men: Feb. 20 dual match vs. Denver in Palm Desert, Calif.
— UNC Women: Feb. 23-24 at GCU Invitational in Phoenix. — Air Force Academy Men: Feb. 23-25 at Loyola Invitational in Goodyear, Ariz.
— CU Men (2): Gene Miranda Falcon Invitational; Mark Simpson Colorado Invitational. — CSU Men (2): Ram Masters Invitational; Paintbrush Invitational. — CSU Women (1): Ron Moore Women’s Intercollegiate. — Former Coloradan Kyler Dunkle, Utah (2): Showdown in the Rockies; Mark Simpson Colorado Invitational. — Ellen Secor, CSU (1): Ron Moore Women’s Intercollegiate. — Daniel O’Loughlin, CU (1): Gene Miranda Falcon Invitational. — Oscar Teiffel, CSU (1): Paintbrush Invitational. CU Women: Pac-12 in Palos Verdes Estates, Calif., April 15-17. CSU Women: Mountain West in Rancho, Mirage, Calif., April 15-17. UNC Women: Big Sky in Boulder City, Nev., April 19-21. DU Women: Summit League in Newton, Kan., April 21-23. CU Men: Pac-12 in Eugene, Ore., April 22-24. CSU and Air Force Men: Mountain West in Tucson, Ariz., April 26-28. UNC Men: Big Sky in Boulder City, Nev., April 26-28. DU Men: Summit League in Newton, Kan., April 28-30. Women: May 6-8, sites TBD (must earn selection). Men: May 13-15, sites TBD (must earn selection).